Cabrillo National monument is a wonderful jewel in San Diego’s crown. The VIP s, volunteers in parks, are now trained (pun intended) to tell train passengers about the park and the passing scenery between San Diego and LA. Amtrak’s Surfliner rolled into the Old Town Station as usual the early morning of June 2. 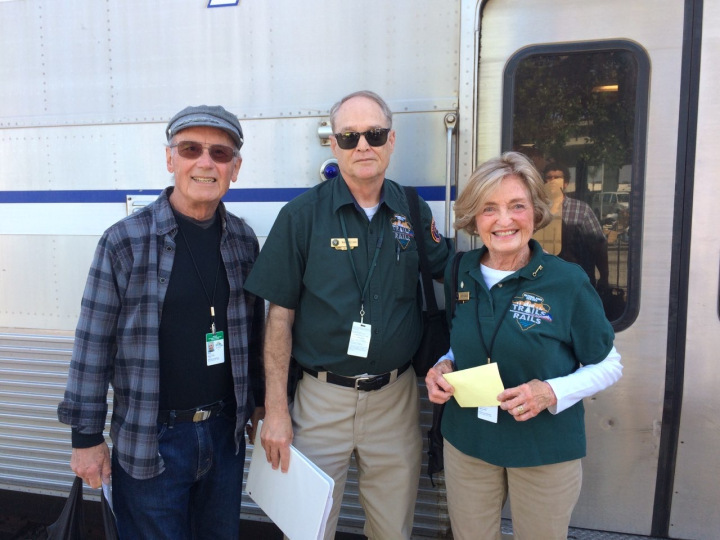 But on this day, three specially trained volunteers from Cabrillo National Monument boarded this inaugural Trails & Rails route San Diego to Los Angeles. They board as history guides educating travelers on historic sites along the way. The Trails & Rails program is a partnership between Amtrak and the National Park Service. Locally, ten trails’ volunteers at San Diego’s only national park have jumped on board and will journey two-at-a-time on summer Saturdays through August. Guides travel as crew and are well versed in passenger and on board safety, as well as knowing the route’s history and natural resources. Each volunteer must also meet Amtrak’s requirements for physical fitness. Previous Post Does the “Me Too” Movement Affect the Books you buy?